We have been blessed to be able to baptize 33 individuals since September 1st of 2013. And we would be honored to be able to help you take this step in your walk as a follower of Jesus Christ! If you’re wanting to get baptized, contact the church office to find out more. Our basic understanding of baptism is that it is an outward expression of an internal commitment to be a follower of Jesus Christ. It’s making public what we have already decided in our hearts. In the New Testament church, baptism happened immediately following acceptance of the Gospel. 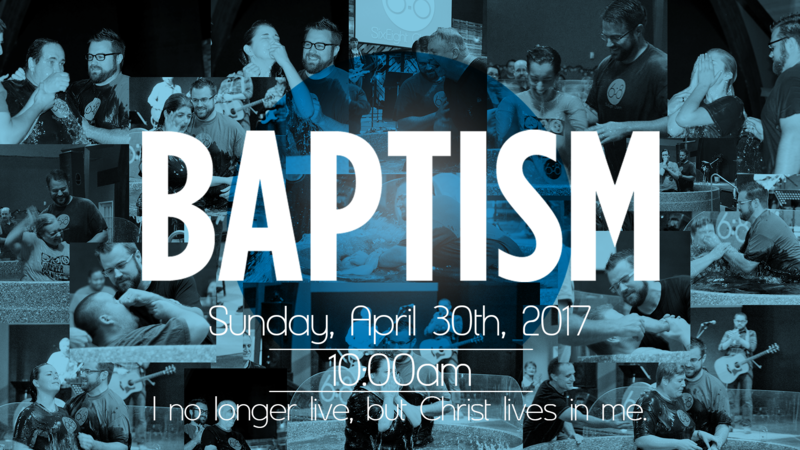 Baptism is symbolic of what happens in us when we put our faith in Christ. We are buried with Christ through baptism and raised to new life in Christ. With all that in mind, we also don’t see perfection as necessary for an individual to be ready to be baptized. If we needed to be perfect before we were baptized, no one would ever get baptized. But when there is a desire in us to make our lives more about Christ than ourselves, and we want the world to know we identify with Him, then it’s time. So, if you’re wanting to be baptized, but don’t think you’re ready because you’re not living a perfect life – that’s not what baptism is about. It’s not about joining the church or even that we have it all figured out. It’s that we understand Jesus died in our place, and we want to live our lives for Him. How well we do that will change as we change – and that process is called something entirely different. If you’re ready to take that step, or want to talk about taking that step, get in touch with us soon!